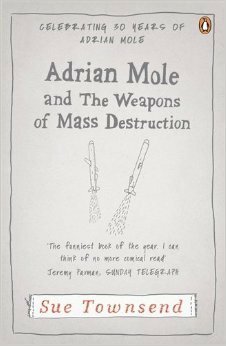 Adrian Mole and The Weapons of Mass Destruction is the sixth book in Sue Townsend's brilliantly funny Adrian Mole series. Wednesday April 2nd My birthday. I am thirty-five today. I am officially middle-aged. It is all downhill from now. A pathetic slide towards gum disease, wheelchair ramps and death. 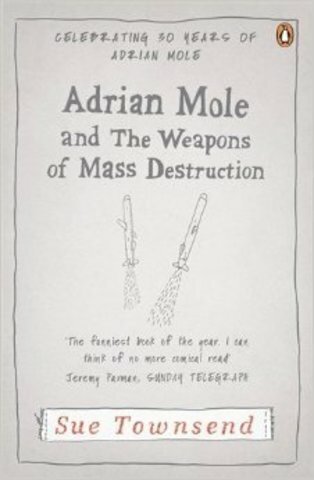 Adrian Mole is middle-aged but still scribbling. Working as a bookseller and living in Leicester's Rat Wharf- finding time to write letters of advice to Tim Henman and Tony Blair- locked in mortal combat with a vicious swan called Gielgud- measuring his expanding bald spot- and trying to win-over the voluptuous Daisy . . . Adrian yearns for a better more meaningful world. But he's not ready to surrender his pen yet... Bestselling author Sue Townsend has been Britain's favourite comic writer for over three decades. 'Hilarious. Deft, gleeful mockery impales modish fads, from home make-overs to new-age crazes, while fiercer irony is trained on the country's involvement with Iraq' Sunday Times 'Richly comic ... stuffed full of humour, tragedy, vanity, pathos and, very occasionally, wisdom' Guardian 'Completely hilarious, laugh-out-loud, a joy' Daily Mirror Sue Townsend is Britain's favourite comic author. Her hugely successful novels include eight Adrian Mole books, The Public Confessions of a Middle-Aged Woman (Aged 55¾), Number Ten, Ghost Children, The Queen and I, Queen Camilla and The Woman Who Went to Bed For a Year, all of which are highly acclaimed bestsellers. She has also written numerous well-received plays. She lives in Leicester, where she was born and grew up.